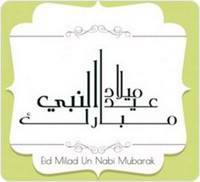 Milad un Nabi is celebrated as the birthday of Prophet Muhammad S.A.W. is many countries, which is a gathering to say Zikr of Allah, recite Asma ul Husna and say Darood and Salam on Prophet Muhammad S.A.W. Download Milad un Nabi 2017 special compilation with tracks of Nusrat Fateh Ali Khan and Sabri Brothers.